Get the IRS tax forms and publications you need to file taxes. 1040 Instructions 1040 Instructions Instructions for completing Form 1040. 1040A U.S. Individual Income Tax Return A slightly shorter version of individual income tax return. Can be filed by taxpayers using any of the filing status options: single, head of household, surviving spouses, and couples who file married filing jointly or married filing separately. Contains fewer tax deduction and tax credit options than long Form 1040. 1040A Instructions 1040A Instructions Instructions for completing Form 1040A. 1040EZ Income Tax Return for Single and Joint Filers With No Dependents Shortest income tax return form. Can be used only by single or married filing jointly taxpayers who are younger than 65, have taxable income of less than $100,000 and who have no dependents. 1040-ES Estimated Tax for Individuals Taxpayers are required to pay estimated tax on income that is not subject to withholding, such as earnings from self-employment, interest, dividends, rents, alimony, unemployment compensation and some Social Security benefits. These payments are made four times a year by filing Form 1040-ES vouchers. 1040X Amended U.S. Individual Income Tax Return Use Form 1040X to, among other things, correct previously filed tax returns, make certain tax elections after the deadline, change amounts previously adjusted by the IRS, and claim a carryback due to a loss or unused credit. File a separate 1040X for each tax year that is amended. Schedule A (Form 1040) Itemized Deductions Use Schedule A (Form 1040) to figure itemized deductions, which include a part of medical and dental expenses and unreimbursed employee business expenses, and amounts paid for certain taxes, interest, contributions, certain casualty and theft losses, and miscellaneous expenses. Schedule A (Form 1040) Instructions Instructions for Schedule A (Form 1040) Instructions for completing Schedule A (Form 1040). Schedule B (Form 1040A or 1040) Interest and Ordinary Dividends Use Schedule B (Form 1040) to report all interest and ordinary dividends earned. These amounts are detailed on various 1099 forms sent to taxpayers by the payors. Schedule C (Form 1040) Profit or Loss from Business (Sole Proprietorship) Use Schedule C (Form 1040) to report income or loss from a business operated or a profession practiced as a sole proprietor. It is filed along with the taxpayer’s individual income tax return Form 1040. Schedule D (Form 1040) Capital Gains and Losses This schedule is filed by individual taxpayers who made or lost money on asset sales. It is filed along with the taxpayer’s individual income tax return Form 1040. Schedule D (Form 1040) Instructions Instructions for Schedule D (and Form 8949) Instruction package for Form 1040 Schedule D.
Schedule E (Form 1040) Supplemental Income and Loss (From rental real estate, royalties, partnerships, S corporations, estates, trusts, REMICs, etc.) Use Schedule E (Form 1040) to report income or loss from rental real estate, royalties, Supplemental partnerships, S corporations, estates, trusts, and residual interests in Real Estate Mortgage Investment Conduits (REMICs). It is filed along with the taxpayer’s individual income tax return Form 1040. Schedule H (Form 1040) Household Employment Taxes (For Social Security, Medicare, Withheld Income, and Federal Unemployment (FUTA) Taxes) Schedule H is used to report wages paid to, and Social Security taxes paid on behalf of, a household employee. This includes, but is not limited to, nannies, housekeepers, health care workers and lawn maintenance staff. It is filed along with the taxpayer’s individual income tax return Form 1040. Schedule K-1 (Form 1041) Beneficiary’s Share of Income, Deductions, Credits, etc. Beneficiaries receive this information form and use its data to report on their Form 1040s their share of the estate’s or trust’s income, credits, deductions, etc. Do not file it with the tax return unless backup withholding was reported on the form (Box 13, code B). Schedule SE (Form 1040) Self-Employment Tax Use Schedule SE (Form 1040) to figure the tax due on net earnings of more than $400 from self-employment. The Social Security Administration uses the information to figure taxpayers’ eventual benefits. SS-4 Application for Employer Identification Number Use Form SS-4 to apply for an Employer Identification Number, or EIN. This is a nine-digit number assigned to sole proprietors, corporations, partnerships, estates, trusts and other entities for tax filing and reporting purposes. You can apply for an EIN online, by telephone, by fax or by mail. Obtaining an EIN establishes your business tax account with the Internal Revenue Service. An EIN is for use in connection with your business activities only. Do not use your EIN in place of your Social Security number. W-2 Wage and Tax Statement This form or an IRS-approved substitute is provided by employers to employees detailing how much an employee was paid in a year. 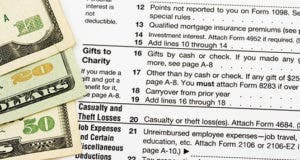 The form also reports how much state and federal income taxes were withheld, retirement plan contributions and the value of some workplace benefits. W-2G Certain Gambling Winnings Winners of certain gambling proceeds receive this form detailing the amounts paid out on the game of chance, as well as backup withholding that in some cases is taken out of the proceeds before payment. W-4 Employee’s Withholding Allowance Certificate Form W-4 is filed with each employer so that the correct amount of federal income tax is withheld from employees’ pay. A new W-4 should be filed each year and when a taxpayer’s personal or financial situation changes. 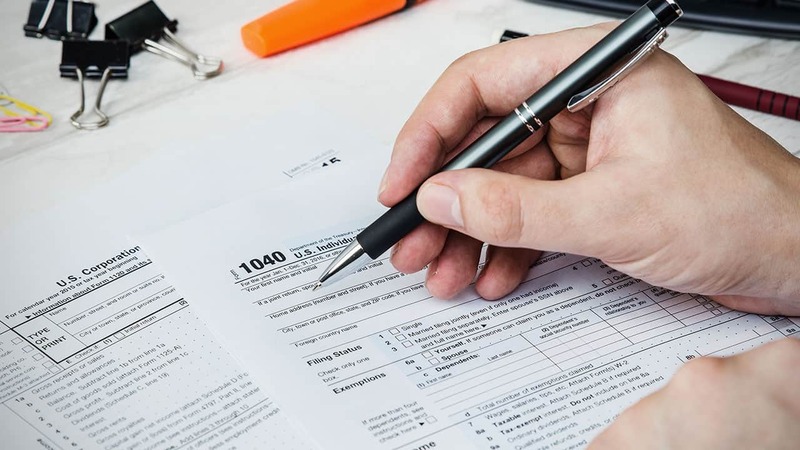 W-4V Voluntary Withholding Request Individuals who receive any government payments, such as unemployment or Social Security benefits, can use Form W-4V to ask the payer to withhold federal income tax. 1041 U.S. Income Tax Return for Estates and Trusts The fiduciary of a domestic decedent’s estate, trust, or bankruptcy estate uses Form 1041 to report the income, deductions, gains, losses and other finances of the estate or trust. 1041-ES Estimated Income Tax for Estates and Trusts This tax package is used to figure and pay estimated tax for an estate or trust. W-2G Mortgage Interest Statement Form 1098 or an IRS-approved substitute is an information reporting document that provides details to the taxpayer on mortgage interest (including points) of $600 or more that was paid on any one mortgage during the calendar year. 1098-E Student Loan Interest Statement Form 1098-E or an IRS-approved substitute is an information reporting document that provides details to the taxpayer on interest payments of $600 or more during the tax year on one or more qualified student loans. 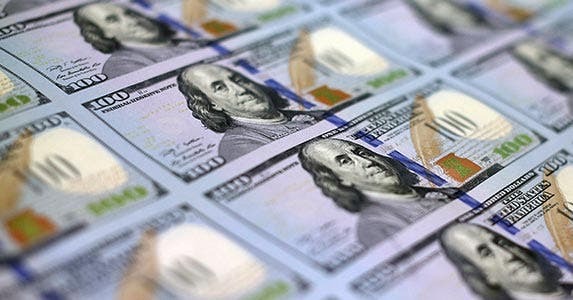 1099-B Proceeds from Broker and Barter Exchange Transactions Information reporting document issued by brokers and barter exchanges when a taxpayer receives proceeds from transactions. Reporting is also required when a broker knows or has reason to know that a corporation in which the taxpayer owns stock has had a reportable change in control or capital structure. 1099-C Cancellation of Debt This form is issued when a lender or creditor discharges a debt that is owed, typically referred to as forgiven or canceled debt. In most cases, such canceled debt amounts are considered income and must be reported by the taxpayer as other income on Form 1040. 1099-DIV Dividends and Distributions Information reporting form or an IRS-approved substitute is provided by investment managers to clients detailing corporate dividends and capital gains distributions paid during the tax year. It also differentiates which payments are qualified for taxation at a lower rate. 1099-G Certain Government Payments Information reporting document issued to taxpayers who received government payments, such as state or local income tax refunds or unemployment compensation. 1099-INT Interest Income Information reporting document issued to taxpayers for taxable interest paid during the calendar year. 1099-K Merchant Card and Third-Party Network Payments New information reporting form for 2011 tax year. It is issued to taxpayers who accepted merchant cards for payments or who received payments through a third party network. This form is triggered when earnings exceed $20,000 in gross total reportable payment transactions and when the total number of those transactions exceeded 200 for the calendar year. 1099-LTC Long-Term Care and Accelerated Death Benefits A payer, such as an insurance company or a viatical settlement provider, must issue this form for payments made under a long-term care insurance contract or for accelerated death benefits. Payments include those made directly to the insured and those made to third parties. 1099-MISC Miscellaneous Income Information reporting for or IRS-approved substitute document generally issued to recipients of payments of $600 or more in a tax year. 1099-OID Original Issue Discount Original issue discount, or OID, is the excess of an obligation’s stated redemption price at maturity over its issue price. Any OID is reported on this form and is taxable as interest over the life of the obligation. 1099-Q Payments From Qualified Education Programs (Under Sections 529 and 530) This form shows the gross distribution, including in-kind distributions, paid from a qualified tuition program, or QTP, or a Coverdell Education Savings Account, or CESA. The form’s instructions discuss when such distributions are considered taxable income. 1099-R Distributions From Pensions, Annuities, Retirement or Profit-Sharing Plans, IRAs, Insurance Contracts, etc. Information reporting document issued to taxpayers who receive distributions from pensions, annuities, profit-sharing and retirement plans (including section 457 state and local government plans), IRAs, insurance contracts, etc. 1099-S Proceeds From Real Estate Transactions For sales or exchanges of certain real estate, the person responsible for closing a real estate transaction must report the proceeds to the IRS and furnish this statement to the seller. The form’s instructions provide details on which types of sale proceeds must be reported as income. 1116 Foreign Tax Credit (Individual, Estate, or Trust) File Form 1116 to claim the foreign tax credit on allowable foreign taxes paid to a foreign country or U.S. possession which totaled more than $300 or more than $600 if married filing a joint return. 2106 Employee Business Expenses Employees use Form 2106 to deduct ordinary and necessary job expenses. 2106-EZ Unreimbursed Employee Business Expenses Use Form 2106-EZ instead of the longer Form 2106 to claim unreimbursed employee business expenses if the expenses were ordinary and necessary, you do not get reimbursed by your employer for any expenses and you claim the standard mileage rate on vehicle expenses. 2119 Sale of Your Home Prior to May 7, 1997, homeowners had to file Form 2119 to rollover profit on a home sale to avoid paying taxes on the profit. This filing requirement was repealed with the expansion of the home sale exclusion amount in the Taxpayer Relief Act of 1997. 2120 Multiple Support Declaration Use Form 2120 to identify each person who paid more than 10 percent of the support of a qualifying relative who is claimed as a dependent. 2210 Underpayment of Estimated Tax by Individuals, Estates and Trusts Form 2210 generally is used by taxpayers to determine whether they owe a penalty for underpaying estimated tax and, if so, to figure the amount of the penalty. 2441 Child and Dependent Care Expenses Use Form 2441 to calculate and claim the tax credit for some of what you paid someone to care for your child or other dependent so you (and your spouse if filing jointly) could work or look for work. 2555 Foreign Earned Income U.S. citizens or U.S. residents living in a foreign country must abide by the same U.S. income tax laws that apply to citizens and resident aliens living in the United States. However, qualifying taxpayers outside the United States can exclude some of their foreign income and also are allowed some housing tax breaks. In these cases, use Form 2555 to figure the foreign earned income exclusion and housing exclusion or deduction. 2555 Instructions Instructions for Form 2555, Foreign Earned Income Find details on claiming the foreign earned income exclusion and housing exclusion or deduction. 2555-EZ Foreign Earned Income Exclusion If a taxpayer who has earned foreign income meets the seven conditions listed at the top of Form 2555-EZ, he or she can file this shorter form instead of the long Form 2555. 3520 Annual Return To Report Transactions With Foreign Trusts and Receipt of Certain Foreign Gifts Form 3520 is used by individual U.S. taxpayers and executors of estates of U.S. decedents to report certain transactions with foreign trusts, ownership of certain foreign trusts and receipt of large gifts or bequests from certain foreign entities. You must file Form 3520 when the receipt of money or other property exceeds certain amounts. The form is required for gifts or bequests valued at more than $100,000 from a nonresident alien individual or foreign estate. Form 3520 also is required for gifts valued in 2011 at more than $14,375 (this amount is adjusted annually for inflation) from foreign corporations or foreign partnerships. 3903 Moving Expenses Use Form 3903 to figure the moving expense deduction for a relocation related to the start of a new job. 3911 Taxpayer Statement Regarding Refund Use Form 3911 to initiate a trace on a federal tax refund check that has been lost, stolen or never received. 4562 Depreciation and Amortization (Including Information on Listed Property) Use Form 4562 to claim a deduction for depreciation and amortization, to opt to deduct certain property under the Section 179 expensing rule and to provide information on the business/investment use of automobiles and other listed property. 4684 Casualties and Thefts Use this form to report any losses or gains from thefts, casualties or natural disasters. File Form 4684 with individual tax return Form 1040. 4852 Substitute for Form W-2, Wage and Tax Statement, or Form 1099R, Distributions From Pensions, Annuities, Retirement or Profit-Sharing Plans, IRA’s Insurance Contracts, Etc. Form 4852 is a substitute used by taxpayers who are not able to get an original Form W-2, W-2c or 1099-R. It also may be used by a taxpayer when an employer or payer has issued an incorrect Form W-2 or Form 1099-R.
4868 Application for Automatic Extension of Time to File U.S. 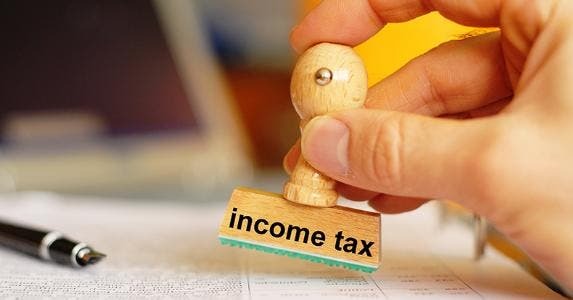 Individual Income Tax Return By filing Form 4868, a taxpayer gets an automatic six-month extension to file his or her income tax return. 5329 Additional Taxes on Qualified Plans (including IRAs) and Other Tax-Favored Accounts Form used by taxpayers who owe additional tax (generally 10 percent) on distributions from qualified retirement plans before the taxpayer reached age 59½. 5405 First-Time Homebuyer Credit and Repayment of the Credit For most people, the first-time homebuyer credit is not available for homes purchased in 2011. However, certain members of the uniformed services and Foreign Service and certain employees of the intelligence community can claim the credit for homes purchased in 2011. To do so, they will use Form 5405. 5498 IRA Contribution Information The information on Form 5498 or an approved substitute form is submitted to the IRS by the trustee or issuer of a taxpayer’s IRA to report contributions, including any catch-up contributions, required minimum distributions and the fair market value of the account. IRA account holders also get a copy for their records and filing needs. 5498-ESA Coverdell ESA Contribution Information The information on Form 5498-ESA is furnished to taxpayers by the Coverdell Education Savings Account, or ESA, trustee or issuer. It reports contributions and rollover contributions made during the prior tax year. Taxpayers should receive this form by April 30 of the following tax year. 5695 Residential Energy Credits Use Form 5695 to figure and claim energy credits for energy-saving improvements made to your home located in the United States. This form covers claims for basic upgrades worth up to a $500 credit, as well as for more substantial tax credits for solar, wind, geothermal and fuel-cell residential energy improvements. 6251 Alternative Minimum Tax – Individuals Taxpayers use Form 6251 to determine whether they owe the alternative minimum tax, or AMT, and, if so, to figure the amount due. The AMT applies to taxpayers who have certain types of income that receive favorable treatment or who qualify for certain tax deductions. These tax benefits can significantly reduce a taxpayer’s regular tax amount, and the AMT limits how much these benefits can be used to reduce an individual’s total tax. 8332 Release / Revocation of Release of Claim to Exemption for Child by Custodial Parent In divorce or marital separation situations, generally only the parent who has legal custody of the child can claim an exemption for the child and related tax deductions or tax credits. However, the custodial parent can agree to waive those tax claims for a filing year (or longer) by filing Form 8332. The noncustodial parent must attach this form to his or her tax return for each year he or she claims an exemption for the child. 8606 Nondeductible IRAs Form 8606 helps taxpayers and the IRS keep track of a traditional IRA’s basis, which is necessary to determine taxable distribution amounts. File this form to report nondeductible contributions to a traditional IRA in prior tax years; distributions from a traditional, SEP or SIMPLE IRA; and conversion of part, but not all, of a traditional, SEP and SIMPLE IRA to a Roth IRA. You do not have to file Form 8606 solely to report regular contributions to Roth IRAs, since distributions from those accounts are not taxable. 8615 Tax for Certain Children Who Have Investment Income of More Than $1,900 What is known as the “kiddie tax” applies to investment earnings of children younger than 18 and certain older children. When such a child’s investment income is more than $1,900, it is taxed at the parent’s tax rate if the parent’s rate is higher than the child’s. Use Form 8615 to figure the child’s tax. 8812 Child Tax Credit Some taxpayers who claim the child tax credit also might be able to claim the additional child tax credit. This is a refundable tax credit, meaning a tax refund is possible even if no tax is due. Use Form 8812 to determine eligibility for and amount of additional child tax credit. 8814 Parents’ Election To Report Child’s Interest and Dividends Taxpayers use this form to report a child’s income on their tax return. By doing so, the child will not have to file a return. However, tax on the child’s income may be less if the child files a separate tax because the adult taxpayer cannot take certain tax benefits that the child is allowed on his or her own return. 8815 Exclusion of Interest From Series EE and I U.S. Savings Bonds Issued After 1989 (For Filers With Qualified Higher Education Expenses) Taxpayers may be able to exclude from income the interest on Series EE or Series I U.S. savings bonds that were issued after 1989 and cashed in to pay for educational expenses. Use Form 8815 to determine if the exclusion applies and to figure the amount of any interest that may be excluded from income. 8818 Optional Form To Record Redemption of Series EE and I U.S. Savings Bonds Issued After 1989 (For Individuals With Qualified Higher Education Expenses) Use Form 8818 to record the post-1989 Series EE and Series I savings bonds cashed for educational purposes. This information is necessary to complete Form 8815 to exclude the interest earnings from taxable income. 8822 Change of Address Use Form 8822 to notify the Internal Revenue Service of a residential or business move. When changing both home and business addresses, use a separate Form 8822 to report each change. 8829 Expenses for Business Use of Your Home Form used to figure allowable expenses on Schedule C for business use of a residence. It and the Schedule C are filed along with the taxpayer’s individual income tax return Form 1040. 8839 Qualified Adoption Expenses Use Form 8839 to figure the adoption tax credit and any employer-provided adoption benefits that can be excluded from income. Taxpayers can claim both the income exclusion and the tax credit for expenses of adopting an eligible child. 8853 Archer MSAs and Long-Term Care Insurance Contracts Use Form 8853 to report Archer Medical Savings Account (MSA) contributions (including employer contributions), figure an Archer MSA deduction, report distributions from Archer MSAs or Medicare Advantage MSAs, report taxable payments from long-term care (LTC) insurance contracts, or report taxable accelerated death benefits from a life insurance policy. 8857 Request for Innocent Spouse Relief A taxpayer who believes that his or her spouse or former spouse should be held solely responsible for all or part of the tax shown on a jointly filed return can request Innocent Spouse Relief by filing Form 8857. 8880 Credit for Qualified Retirement Savings Contributions Form used to figure the amount, if any, of retirement savings contributions credit, which also is known as the saver’s credit. It is filed along with the taxpayer’s individual income tax return Form 1040. 8888 Allocation of Refund (Including Savings Bond Purchases) Use Form 8888 to have a tax refund, or a part of it, directly deposited to one or more accounts at a domestic bank or to use a tax refund to buy up to $5,000 in paper Series I savings bonds. 8917 Tuition and Fees Deduction Use Form 8917 to figure and take the deduction for tuition and fees expenses paid to an eligible postsecondary educational institution. 8938 Statement of Specified Foreign Financial Assets Form 8938, new for the 2011 tax year. Use this form to report ownership of specified foreign financial assets if the total value of those assets exceeds an applicable threshold. The foreign account reporting thresholds for the new form vary, depending on whether a taxpayer lives in the United States or files a joint income tax return with a spouse. The penalty for failure to file or for submitting an incorrect Form 8938 starts at $10,000. This form may be required in addition to the annual reporting of foreign accounts on TD 90-22.1, which must be filed with the Treasury each June. 1095-A Health Insurance Marketplace Statement Form used by Healthcare.gov and state exchanges to report details of a taxpayer’s purchase of Affordable Care Act mandated health insurance. 8962 Premium Tax Credit (PTC) Form used to reconcile the advance premium tax credit obtained when purchasing Affordable Care Act coverage via an exchange. 8965 Health Coverage Exemptions Form used by taxpayers to claim an Affordable Care Act coverage exemption for themselves or a member of their tax households. 8965 Instructions Instructions for Form 8965 This publication contains a worksheet to help taxpayers calculate the Affordable Care Act shared responsibility payment. 9465 Installment Agreement Request Use Form 9465 to request a monthly installment plan (of up to 72 months) if you cannot pay the full amount you owe shown on your tax return or on an IRS notice. Schedule C-EZ (Form 1040) Net Profit From Business (Sole Proprietorship) Sole proprietors generally can use Schedule C-EZ instead of Schedule C if the business or profession had expenses of less than $5,000 and did not record a loss. Additional requirements are listed on the form. Schedule K-1 (Form 1120S) U.S. Corporation Income Tax Return Corporate shareholders are liable for tax on their shares of the corporation’s income, whether or not distributed. That information is reported by the corporation on Schedule K-1. Do not file the K-1 with the individual tax return, but keep it with tax records. W-10 Dependent Care Provider’s Identification and Certification Individuals who claim the child and dependent care expenses credit must include the care provider’s tax identification information with the claim. This form contains that information, but it does not have to be filed with the taxpayer’s Form 1040. 926 Return by a U.S. Transferor of Property to a Foreign Corporation Generally, a U.S. citizen or resident, a domestic corporation or a domestic estate or trust must complete and file Form 926 to report certain transfers of property to a foreign corporation. 8283 Noncash Charitable Contributions Use Form 8283 to report information about noncash charitable contributions. Taxpayers — individuals, partnerships and corporations — must file Form 8283 if the amount of the deduction for all noncash gifts is more than $500. 8903 Domestic Production Activities Deduction Use Form 8903 to figure your domestic production activities deduction for certain trade or business activities. 940 Employer’s Annual Federal Unemployment (FUTA) Tax Return Employers must file Form 940 if wages of $1,500 or more were paid to employees in any calendar quarter during the prior two tax years or if the employer added one or more employees for at least some part of a day in any 20 or more different weeks in the prior two tax years. 941 Employer’s Quarterly Federal Tax Return Employers must file Form 941 to report wages paid, tips employees received, federal income tax withheld from employees and both the employer’s and the employee’s share of Social Security and Medicare taxes. 943 Employer’s Annual Federal Tax Return for Agricultural Employees Form filed by employers to report federal income tax withheld and employer and employee Social Security and Medicare taxes on wages paid to farm workers. When a payment of employer taxes accompanies Form 943, the employer should also submit Form 943-V, which is attached to Form 943. 944 Employer’s Annual Federal Tax Return Form 944 is designed so the smallest employers — those whose annual liability for Social Security, Medicare, and withheld federal income taxes is $1,000 or less — will file pay these taxes only once a year instead of every quarter. 945 Annual Return of Withheld Federal Income Tax Form 945 is used to report federal income tax withheld from nonpayroll payments. Nonpayroll payments include pensions, military retirement, gambling winnings, Indian gaming profits, voluntary withholding on certain government payments and backup withholding. 1065 U.S. Return of Partnership Income Form 1065 is an information return used to report a partnership’s income, gains, losses, deductions, credits, etc. A partnership does not pay tax on its income, but “passes through” any profits or losses to its partners, who then must include partnership items on their personal tax returns. 1120 U.S. Corporation Income Tax Return Unless exempt, all domestic corporations (including corporations in bankruptcy) must file an income tax return whether or not they have taxable income. Form 1120 is used by corporations to report the income, gains, losses, deductions, credits, and to figure the company’s income tax liability. 1120S U.S. Income Tax Return for an S Corporation A corporation or other entity must file Form 1120S if it elected to be an S corporation by filing Form 2553. Use Form 1120S to report the corporation’s income, gains, losses, deductions and credits. 1120-W Estimated Tax for Corporations Corporations use Form 1120-W to make estimated tax payments if they expect their estimated tax (income tax less credits) to be $500 or more. S corporations must also make estimated tax payments using 1120-W for certain taxes. 4797 Sales of Business Property Use this form to report, as the name says, sales of business property. It also can be used to report exchanges of business property, as well as property that you depreciated as it was used for business purposes. The form has four sections for various business property sale or exchange situations. It is filed with your annual tax return. Form 4797 requires a detailed listing of each property including the date the property was sold. Read the form’s instructions carefully to determine which section(s) you are required to complete. If you need more help, consult your accountant or other tax professional. 1 Your Rights as a Taxpayer This publication explains some of the key taxpayer rights and explains the tax return examination, appeal, collection and refund processes. This publication also is available in Spanish. 3 Armed Forces’ Tax Guide This publication covers the special tax situations of active members of the U.S. armed forces. It does not cover military pensions or veterans benefits. For federal tax purposes, the U.S. armed forces include commissioned officers, warrant officers and enlisted personnel in all regular and reserve units under control of the Secretaries of Defense, Army, Navy and Air Force. The U.S. armed forces also includes the Coast Guard. It does not include the U.S. Merchant Marine. 5 Your Appeal Rights and How to Prepare a Protest If You Don’t Agree This publication offers a brief overview of how to appeal your tax case if you don’t agree with the Internal Revenue Service’s findings. It includes information on preparing a protest, representation options and taking your case to the court system. 17 Your Federal Income Tax for Individuals This publication covers the general rules for filing a federal income tax return. It supplements the information contained in tax form instructions. Publication 17 generally follows Form 1040, U.S. individual income tax return. 501 Exemptions, Standard Deduction, and Filing Information This publication discusses some tax rules that affect every person who may have to file a federal income tax return. It answers some basic questions: who must file, who should file, what filing status to use, how many exemptions to claim and the amount of the standard deduction. 502 Medical and Dental Expenses (Including the Health Coverage Tax Credit) This publication explains the itemized deduction for medical and dental expenses that are claimed on Schedule A. It discusses what expenses, and whose expenses, can and cannot be counted when calculating the deduction. 503 Child and Dependent Care Expenses This publication explains the tests a taxpayer must meet to claim the credit for child and dependent care expenses. It explains how to figure and claim the credit. It also discusses some of the employment tax rules for household employers. 504 Divorced or Separated Individuals This publication explains tax rules that apply when couples divorce or separate from a spouse. It covers general filing information, exemptions and dependents issues as well as payments and property transfers that often occur as a result of divorce and how they must be treated on tax returns. 505 Tax Withholding and Estimated Tax This publication discusses the U.S. tax system’s pay-as-you-go structure that requires taxpayers to pay tax as income is earned or received throughout the year. It examines the two ways for taxpayers to pay as they earn: via withholding and by making estimated tax payments. 510 Excise Taxes (Including Fuel Tax Credits and Refunds) This publication covers the various federal excise taxes and which are reported on Form 720. It also covers fuel tax credits and refunds. 514 Foreign Tax Credit for Individuals This publication explains how you can choose to take the amount of any qualified foreign taxes paid or accrued during the year as a foreign tax credit or as an itemized deduction. It examines making or changing your choice each tax year, as well as what foreign taxes qualify for the credit, what foreign taxes are not considered income taxes, and carrying back and carrying forward foreign tax claims. 521 Moving Expenses This publication explains the deduction of certain expenses incurred to move to a new home because of a job location change. It covers who can deduct moving expenses, what moving expenses are and are not deductible, how reimbursements affect moving expense claims, how and when to report moving expenses, and special rules for members of the military. 523 Selling Your Home This publication explains the tax rules that apply when an individual sells his or her main home; that is, the residence in which the individual lives most of the time. 525 Taxable and Nontaxable Income This publication examines the many kinds of income and explains whether they are taxable or nontaxable. It includes discussions on employee wages and fringe benefits, and income from bartering, partnerships, S corporations and royalties. It also includes information on disability pensions, life insurance proceeds, welfare and other public assistance benefits. 526 Charitable Contributions This publication explains how to claim a deduction for charitable contributions, organizations that are qualified to receive deductible charitable contributions, the types of contributions that are deductible, how much can be deducted, what records to keep and how to report charitable contributions. 529 Miscellaneous Deductions This publication explains which expenses you can and cannot claim as miscellaneous itemized deductions on Schedule A (Form 1040 or Form 1040NR). It also explains which deductions are and are not subject to the 2 percent of adjusted gross income. 530 Tax Information for Homeowners This publication provides tax information for homeowners. Topics include the tax treatment of settlement and closing costs, real estate taxes, home sale taxes, home mortgage interest, the first-time homebuyer credit, adjustments to a home’s basis and what records to keep. 544 Sales and Other Dispositions of Assets This publication discusses the tax implications (reporting requirements, types of tax due, etc.) of selling or otherwise disposing of assets, such as stocks and other investments, as well as real property. 550 Investment Income and Expenses This publication provides details and examples of various types of investment income and where and how to report it. 555 Community Property This publication discusses special tax issues encountered by married couples who live in one of the nine community property states: Arizona, California, Idaho, Louisiana, Nevada, New Mexico, Texas, Washington and Wisconsin. 556 Examination of Returns, Appeal Rights and Claims for Refund This publication discusses general rules and procedures that the Internal Revenue Service follows in auditing tax returns. It explains what happens during an examination and your appeal rights, both within the IRS and in the federal court system. It also explains how to file a claim for refund of tax you already paid. 561 Determining the Value of Donated Property This publication examines how donors and appraisers determine the value of property, other than cash, that is given to qualified charitable organizations. It also explains what kind of information is required to support the donation claimed on the donor’s tax return. 587 Business Use of Your Home (Including Use by Daycare Providers) This publication discusses how to figure and claim the deduction for business use of your home. It includes information on the types of expenses you can deduct, how to figure the deduction (including depreciation), records you should keep and selling a home that was used partly for business. 590 Individual Retirement Arrangements (IRAs) This publication discusses individual retirement arrangements, or IRAs. 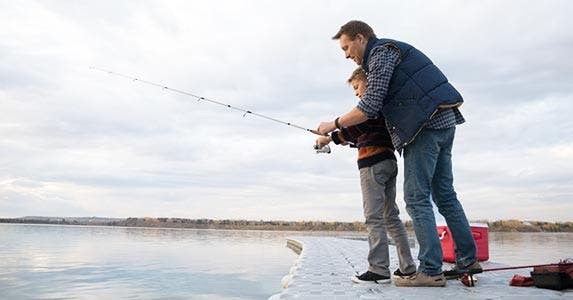 It examines at the types of IRAs, the tax advantages for setting aside money for retirement and penalties for taking money out of an IRA early. 915 Social Security and Equivalent Railroad Retirement Benefits This publication explains the federal income tax rules for Social Security benefits and equivalent tier 1 railroad retirement benefits. The information in the publication is from IRS, the Social Security Administration and the U.S. Railroad Retirement Board. 929 Tax Rules for Children and Dependents This publication explains the filing requirements and other tax information for individuals who can be claimed as a dependent on another person’s tax return. It also explains how to report and figure the tax on investment income of certain children (whether or not they can be claimed as dependents). 936 Home Mortgage Interest Deduction This publication discusses the rules for deducting home mortgage interest. It also covers points and mortgage insurance premiums. 970 Tax Benefits for Education This publication explains the various tax benefits available to eligible individuals saving for or paying education costs. They include scholarships, fellowships, grants and tuition reductions; tax credits; student loan interest deduction; student loan cancelations and repayment assistance; tuition and fees deduction; Coverdell Education Savings Account; qualified tuition program; and the educational exception to early IRA distributions. 971 Innocent Spouse Relief This publication discusses the circumstances under which a spouse or former spouse who filed a joint tax return can be relieved of tax, interest and penalties in connection with problems that the Internal Revenue Service later found with that filing. The three types of relief — innocent spouse, separation of liability and equitable relief – also are explained. 972 Child Tax Credit This publication discusses the requirements to claim and benefits available to individuals who are eligible to claim the child tax credit and the additional child tax credit. Most taxpayers, however, can use the simpler tax credit worksheet found in the Form 1040A or Form 1040 instructions. 1244 Employee’s Daily Record of Tips and Report to Employer This publication discusses the requirements of employees who receive tip income to keep sufficient proof of the tip amounts received and report certain amounts to their employers. It also includes Form 4070A, Employee’s Daily Record of Tips, on which the worker can record tips received. 1660 Collection Appeal Rights (for Liens, Levies and Seizures) This publication explains how to appeal Internal Revenue Service collection actions to the IRS Office of Appeals. It provides information on the two main procedures: Collection Due Process, which includes lien filings and various tax levies, and Collection Appeals Program, which includes property seizures and installment payment plan rejections or terminations.